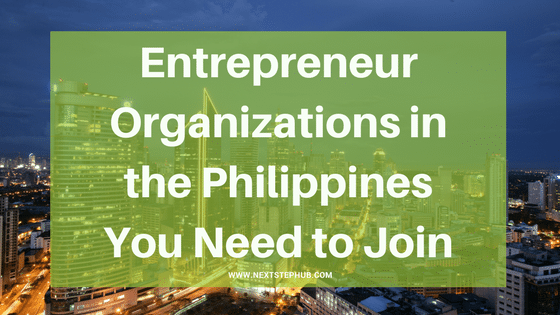 It is essential to know the entrepreneur organizations in the Philippines that you need to be a part of. More groups are supporting aspiring entrepreneurs As the startup scene continues to grow These groups help sharpen your skills, get tips on how to manage your business and also expand your network. You also get to know more like-minded individuals and get inspired from their success stories and struggles. Check out these awesome groups. Ideaspace is a non-profit organization dedicated to supporting Filipino technopreneurs. Their mission is to inspire, incubate and connect them. Since 2012, Ideaspace has enabled 52 tech startups, including Taxumo and PayMaya Escrow. Aside from providing funds, they also offer programs that can inspire the next generation of startups. These programs can help them turn their brilliant ideas into marketable businesses. Every year, they organize a contest called Ideaspace Startup Competition where start-ups get the chance to take home funding and support from various companies and mentors..en start-ups made the cut last year, with each receiving P500,000 in equity-free funding. They also received housing, transportation, office space, and software support. Executives from various companies also mentored and trained the founders. To learn more or apply for the contest, visit their website here. Endeavor is a global organization that selects, mentors, and accelerates high-impact entrepreneurs. Endeavor Philippines was launched in 2015. With the help of 41 Filipino business mentors, the team guides budding entrepreneurs in the country. Endeavor Investor Network help extend start-ups’ reach to leading investment firms. They provide access to high-growth companies and local investment partners. They also created Endeavor Catalyst, an innovative and passive investment fund that comes from donated capital. The funding is used to co-invest alongside qualified lead investors. TechTalks is an independent community of business, technology, and startup enthusiasts. Their main goal is to offer valuable programs and events to help startups survive. They also want to increase the number of software and technology professionals in the country. The community provides many programs such as Geeks on a Beach, Geeks on a Plane, Founder’s Friday, and Startup Weekend. Here, entrepreneurs and founders can expand their network, learn, and share ideas. Workshops also happen in these events. Techtalks offers other services like career planning, consulting, and business matching. If you like to be part of their community, just visit their website here. The Young Entrepreneurs Society Philippines aims to educate and develop aspiring young entrepreneurs. They provide mentorship, networking opportunities, and learning events. YES also empower students through YES Student Chapter where they get the chance to connect with successful young entrepreneurs. Over 50 universities in the Philippines are currently involved in the program. To apply for membership, check out their website here. Kickstart Ventures provides funding, facilities, expertise and business connections for startups. They’re a fully-owned subsidiary of Globe Telecom, a leading telecommunications company. Since its launch in 2012, Kickstart has invested in 13 startups like Kalibrr, Medix, and Zipmatch. The organization can invest up to $5 million in growth-stage companies. Their typical stage-seed deals are at $30,000 for 15% equity. If you want to pitch to Kickstart, you can send your pitch deck to their page. Did we miss any of the awesome groups you are a part of? Share it with us in the comments.